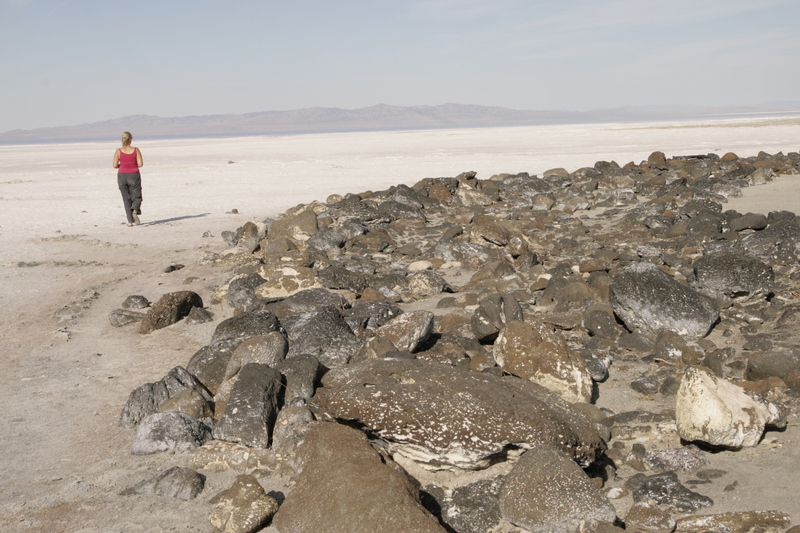 Robert Smithson’s iconic land art work was finally visible after several years of submersion in the salty lake. The Jetty had lost its red hue as the water receded. 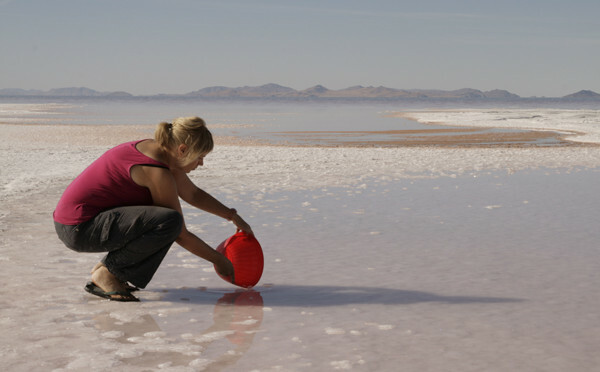 The performance was a piece of endurance, involving trekking out across the hardened salt flat to capture water in the red bowl, bringing it back to the spiralling rocks. 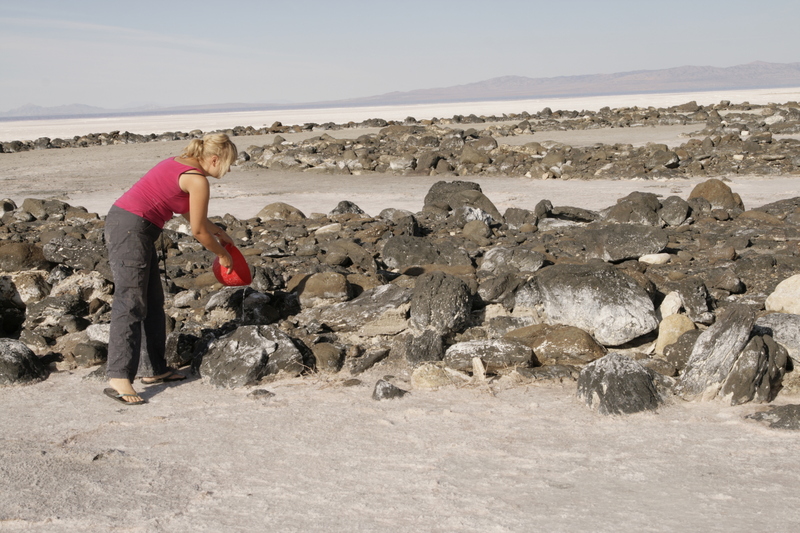 It involved a contemplation of changing climates and landscapes, and the absurdity of the task at hand.